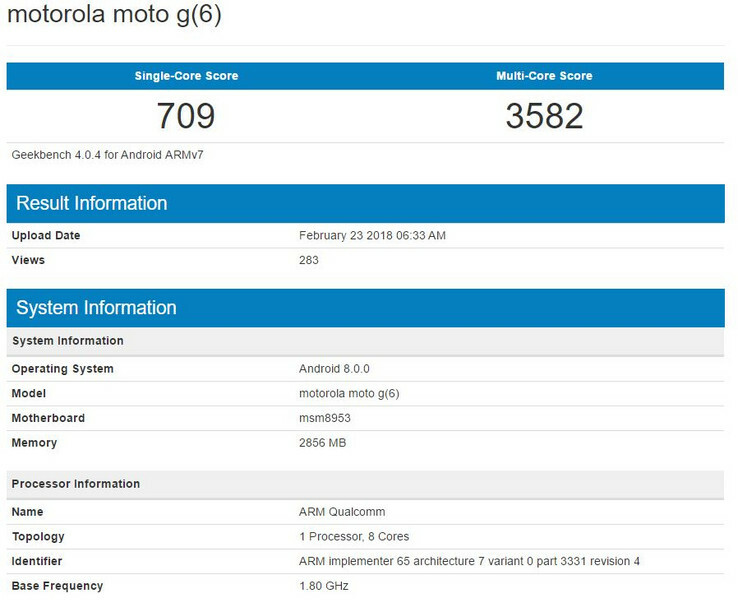 Motorola's upcoming budget device, the Moto G6, has made the trip over to Geekbench. The device, powered by the Snapdragon 450 and running on Android Oreo, recorded benchmark scores typical for that SoC. The Moto G6 Plus was detailed earlier in the day, but its lower-specced sibling looks to be coming along even faster. The G6 will be a cheaper, less-featured version of the G6 Plus, and it has finally made its way over to Geekbench, Snapdragon 450 aboard. The benchmark listing shows the Moto G6 running on Android Oreo 8.0, with 3 GB of RAM. 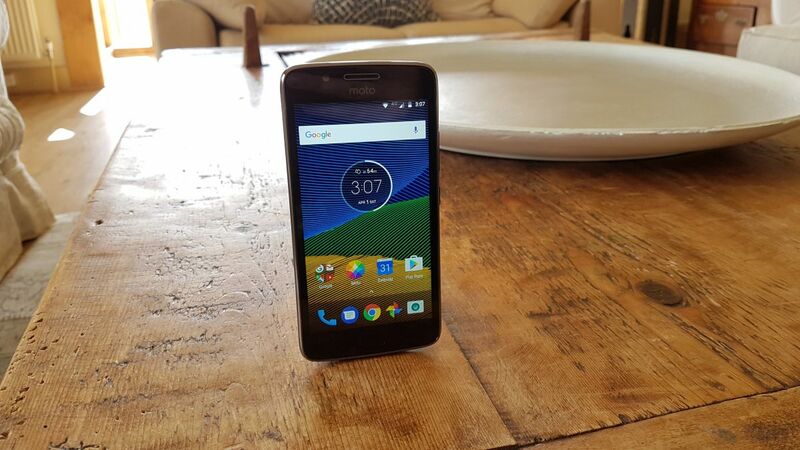 The recorded scores are about par with what we've come to expect from the Snapdragon 450, in any case. For example, another device with the Snapdragon 450, the ZTE Blade V9, was benchmarked earlier in the week, and posted similar scores. For those not in the know, the Snapdragon 450 is pretty much a Snapdragon 625, albeit slightly underclocked. Both SoCs have the same core setup and are manufactured on 14nm processes. The Snapdragon 625's cores are clocked at 2.0 GHz, however, while the Snapdragon 450's run at a 1.8 GHz frequency. The Moto G6, going by earlier leaks, will feature dual rear cameras, an 18:9 display, and a 3000 mAh battery.